Heating and cooling of domestic dwellings, office buildings, public facilities (schools, hospitals, town halls) and greenhouses is responsible for over 30% of Dutch final energy consumption. More than 90% of this energy is currently from natural gas. The aim is to create novel, integrated solutions for heating and cooling the urban environment. In industry, electrification of the heat demand using heat pumps will allow for a significant reduction of the renewable energy need of the industry since heat pumps are expected to have high heat output per electricity input (COP > 4.0). 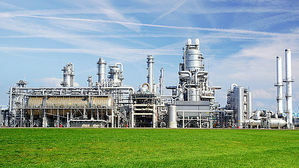 The challenges and research needs for heat pumps are been listed under “conversion”. 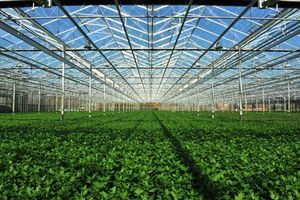 The greenhouse sector of the Netherlands is pioneering the use of geothermal energy. This application area is not very much distinct from the use of geothermal energy in the urban environment (similar heat demand, aspects of subsurface management). The scientific challenges are described under Sources/Geothermal energy. The required (large) amounts of thermal energy at a relatively low temperature level can be delivered efficiently by heat pumps. See Sources/Conversion for heat pump related challenges. The aim of the BIES was to investigate feasible and potentially desirable scenario’s for energy supply systems for the built environment, at district level. 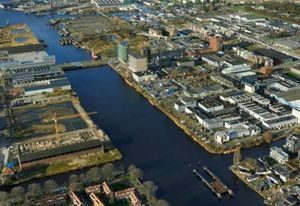 The district of Buiksloterham was used as a test case, but the results are applicable as well to other area’s with new buildings, high energy ambitions and high densities. Both technical and organisational boundary conditions were taken into account. The Smart Urban Isle project explores the possibilities of neighbourhoods to become ‘Smart Urban Isles’: areas –possibly around a public building– where energy is generated, exchanged and stored to locally balance supply and demand as much as possible. Research also focusses on finding an optimum between building renovation and collective neighbourhood energy solutions. 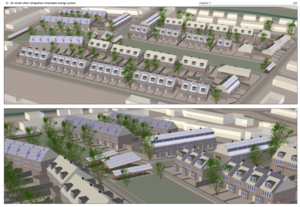 TU Delft provides expertise on bioclimatic design for existing buildings and smart energy networks at the neighbourhood scale. Nine case studies are developed, two of which are in the Netherlands (Haarlem and Amsterdam).